For the past 10 years, Miftaahul Uloom Academy has been a site for Mayor Stack’s Annual Thanksgiving Dinner hosted by the Civic Association of Union City. Volunteers from around the city and from MUA work together to serve over 300 people on Thanksgiving Day. Miftaahul Uloom Academy believes that the arts are an integral part of child development and are critical to meeting the social, emotional, and creative needs of children. At MUA students have the opportunity to explore fine and performing arts daily. Every year we host an event called Voices of MUA to celebrate the artistic achievement of our students and the arts in general. The goal of the event is to provide a platform to our students to express themselves through various art forms and to celebrate the arts. MUA has received an Artists in Education grant for several years to bring professional artists into the school to work on a long term art project with students. Since 2015, MUA seniors have been blessed to have the opportunity to perform Umrah (a religious pilgrimage to Mecca, Saudi Arabia) as their final class trip. This trip, called The Umrah Project, was launched by former Islamic Studies teacher Brother Wesley AbdurRazzaq Lebron who believed that giving our seniors the opportunity to visit Allah’s home was one of the best ways to help them form a strong connection to Allah (SubhanAllah Wa’Tala) before they venture into their lives beyond high school. Students work together to raise funds in the community to pay for The Umrah Project. Alhamdulillah our students have benefitted a great deal from this life-changing pilgrimage. The MUA Gala is an annual celebration fundraiser where we recognize our students and staff for their hard work, dedication and commitment to our mission and vision. We host a keynote speaker, entertainment, and student performances. Parents and community members invest in education at MUA by donating, making pledges, and participating in various auctions. It is an evening of good company, delicious food and beautiful reminders! Please join us! Every year the Montessori 3-6 & 6-9 classrooms hold a multicultural day where the children present spectacular performances about the countries they have been studying and share a multicultural banquet with their parents and teachers. It’s a day to celebrate Montessori education and diversity. ISNA (Islamic Society of North America) Education Conference is an annual conference where administrators, staff members, and board members from Islamic schools all over America and Canada come together for a weekend filled with great professional development and networking. The conference provides a platform to connect with, share, and learn from other islamic schools. Vendors offering islamic resources for people of all age groups have tables to display their products. MUA tries to bring a few team members from different departments every year to participate in ISNA Education Conference. After the event the team comes together to discuss the different workshops and to come up with an implementation plan for the following school year. The New Jersey Montessori Association Corporation organizes an annual conference where Montessori schools from New Jersey and elsewhere meet and attend workshops and professional development for all levels (Infant/Toddler, Early childhood, Lower Elementary, Elementary and Administration). Montessori vendors showcase their products and services that can be used in the classrooms. 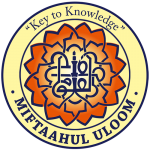 Miftaahul Uloom Academy is the only Islamic Montessori school that attends the conference. It is a wonderful opportunity to learn from the experts in the field and the MUA team always brings back great ideas to incorporate within their classrooms.